If you’ve ever traveled by plane – you can thank Dayton, Ohio. If you’ve ever witnessed The Blue Angels or marveled at the miracle of a 747 lifting into the sky – you can thank Dayton, Ohio. 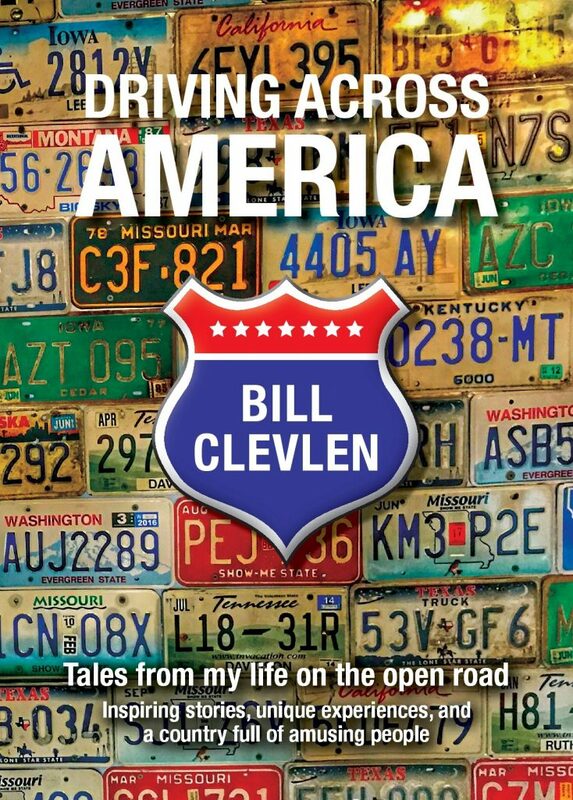 If you’ve ever been stranded at an airport or had a screaming kid on your flight – you can thank… well, never mind. 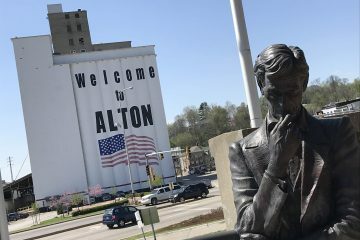 Dayton is best known for its connection to Orville & Wilbur Wright, better known as The Wright Brothers, who are credited with building the first successful airplane. The brothers also lay claim to other important feats in aviation that were born in this town located about an hour north of Cincinnati. Scattered about Dayton, you’ll find historical sites and pieces of both American and aviation history. The National Park Service has done a tremendous job maintaining locations linked to the early origins of flight. 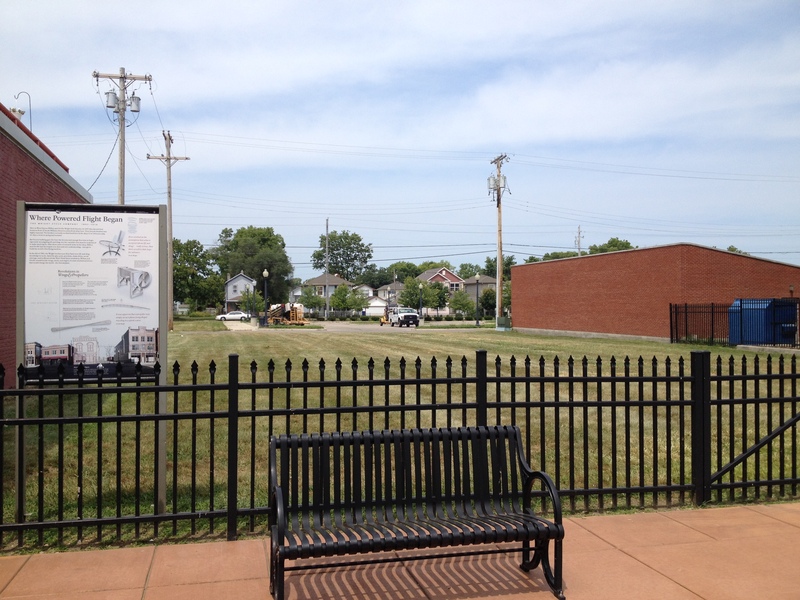 An empty lot where the original Wright Brother’s Bicycle shop once stood. The entire building was purchased by Henry Ford and moved moved to the Henry Ford Museum in Dearborn, Michigan. 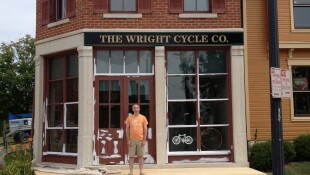 One notable missing piece is the Wright Brother’s home and original bicycle shop which was moved in 1937 to The Henry Ford Museum in Dearborn, Michigan. While on the surface this might appear to be a “bummer” that Dayton no longer has these properties – it’s most likely they never would have been preserved had they remained here. 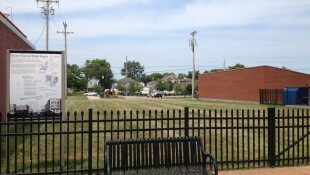 An empty lot still remains where the shop once stood. A few miles away at Carillon Park, an exact replica exists along with the original 1905 Wright Flyer III. It’s the only airplane designated as a National Historic Landmark and known as the world’s first practical airplane. It was in 1905 that Wilbur and Orville Wright flew this plane in record breaking flights at the Huffman Prairie Flying Field. Huffman field is pretty much exactly what it sounds like – an empty field. But, an unexplainable sense of awe arises as you stand there seeing flights depart overhead from nearby Wright-Patterson Air Force Base. While it’s nothing more than just some dirt and grass today – the world would be a much different place had it never been used. You travel down a long road, barely wide enough for passing cars and eventually find yourself where two brilliant brothers carried out their most memorable experiments of flight. The patent on display at Carillon Historical Park in Dayton, Ohio. Note the airplane is referred to as “flying machine” in the description. 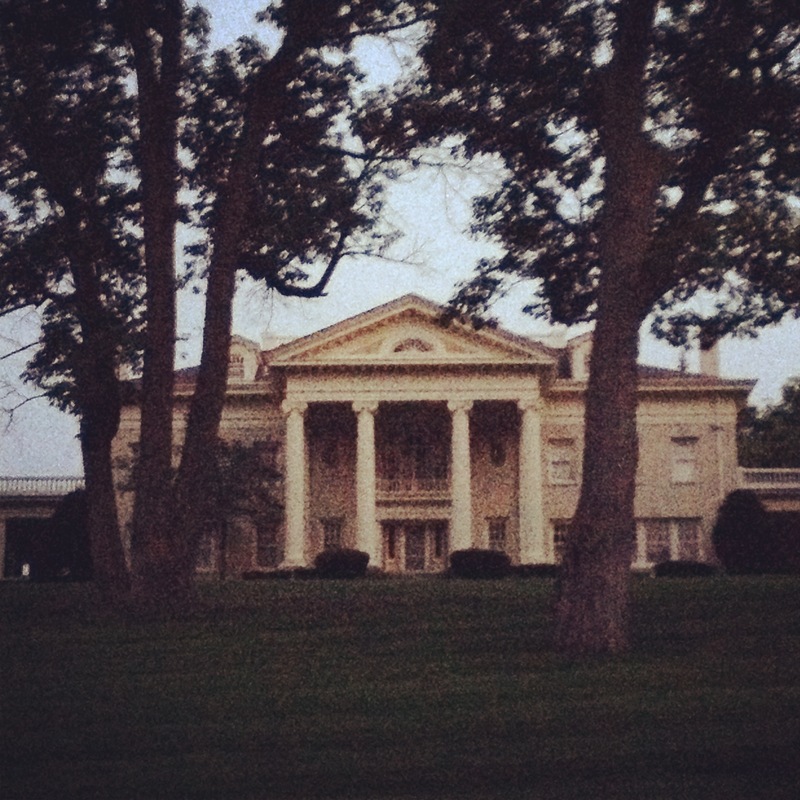 The final home belonging to the brothers still stands in a beautiful upscale neighborhood of suburban Dayton. 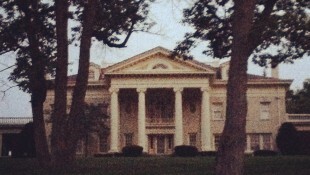 The mansion is named Hawthorn Hill and sits on three acres of property. The construction was finished in 1914, two years after the death of Wilbur Wright. Both brothers planned to live in the home. In 2007, public tours began of the property which is now considered a national landmark. 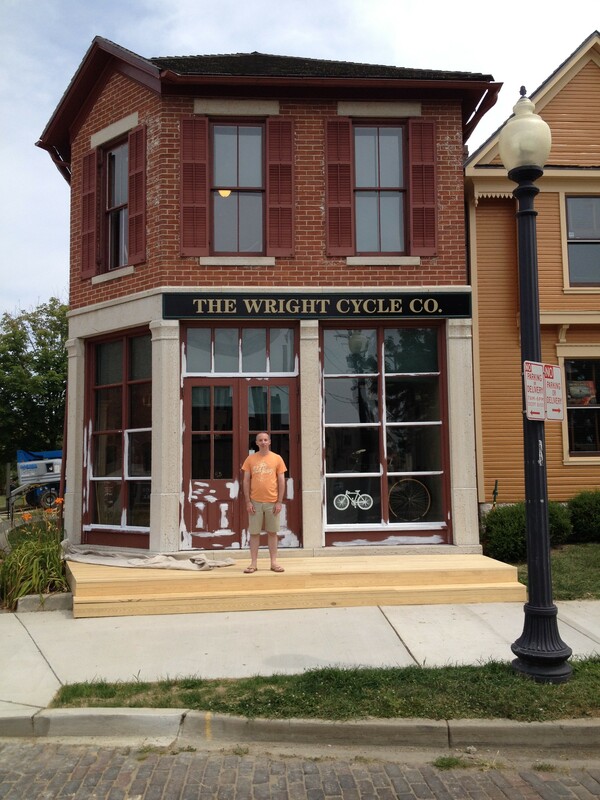 The Wright Brother’s fourth bicycle shop is located here where you’ll find a treasure trove of education and artifacts waiting inside. It was the last standing shop owned by the two brothers and was nearly destroyed. Historian Jerry Sharky saved the building at a cost of $10,000. 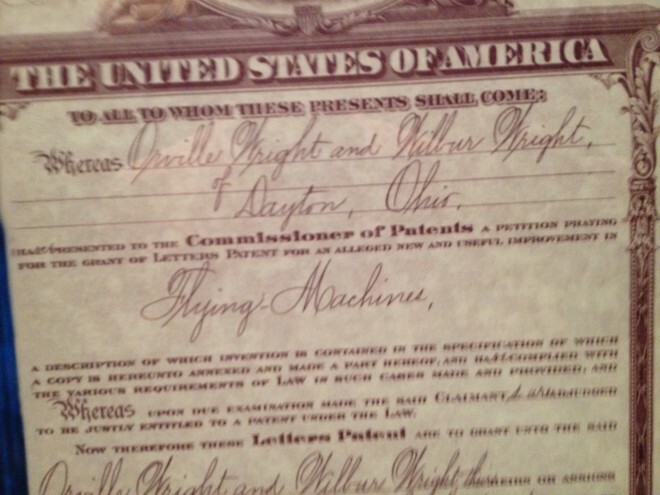 The purchase began what is now known as the Dayton Aviation Heritage National Historical Park. Next door to the bike shop is a visitors center that houses printing equipment used by the Wright Brothers and a flight simulator where you can attempt to fly one of their early planes or “flying machines”. I crashed three times. Martin Sheen, Cash Registers and Pop-Tops. Actor Martin Sheen is from Dayton, Ohio but he’s far from the only famous person to come from the area. Two of Sheen’s co-stars from the hit series The West Wing are also from Dayton – Allison Janey and Rob Lowe. Other locals include: ESPN’s Dan Patrick, comedian Jonathan Winters, actor Gordon Jump and Nancy Cartwright who voices the animated character Bart Simpson. While exploring Carillon Park – a display that almost seems out of place appears in the park’s visitor center and museum. Airplanes aren’t the only thing Dayton gets credit for inventing – cash registers were also invented here. 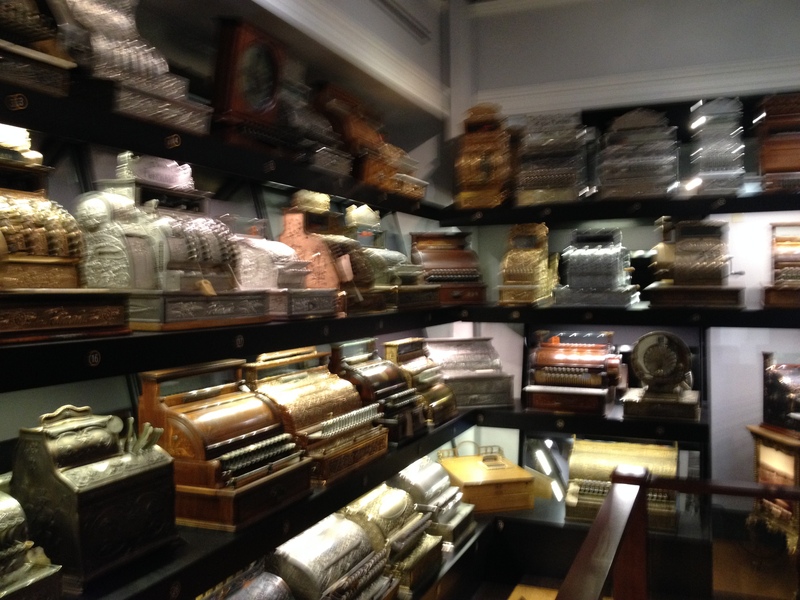 Almost equally as interesting as all of the Wright Brother’s displays – the shelves full of antique cash registers were amazing to see. I overheard one staffer telling a tour group that thefts were probably low when these machines first debuted – as it would take several people to actually lift some of them. Dayton also gets credit for the invention of the pop-top used on beverage and other containers. The pull-tab contraption was first introduced here in 1963. The National Air Force Museum of the United States is the biggest draw to Dayton, Ohio and it’s obvious why. It’s a sprawling complex, featuring three giant hangars full of airplanes from every decade and battle. 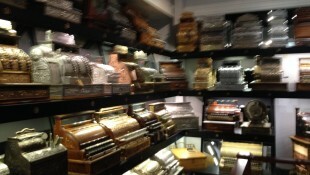 Other countries have given planes to the museum as well making the displays truly extraordinary. You can see up close a plane used in training missions by Japanese kamikaze pilots and the plane that dropped the first atomic bomb. 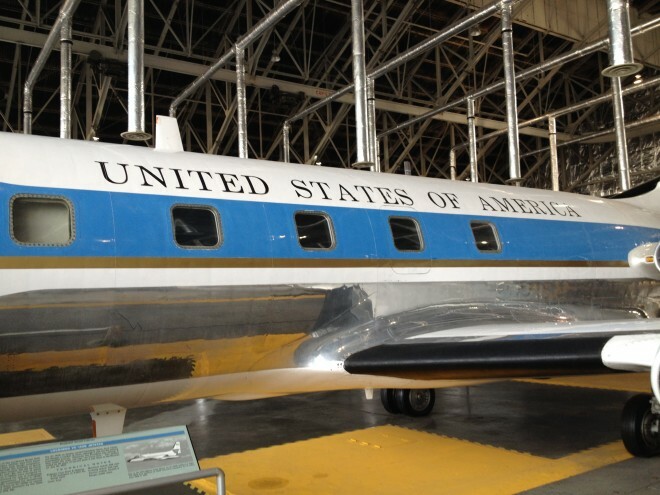 A fourth hangar, which is located down the road from the museum houses Presidential aircraft including a former Air Force One that is best known for carrying President Kennedy’s body from Dallas. Tours of that hangar require a special ticket which is first come, first served as the museum opens. It’s physically located on the Wright-Patterson Air Force Base. Though a construction project will eventually move those planes off the base and to the museum’s main property. Thanks to the nice folks in Dayton for hosting me! 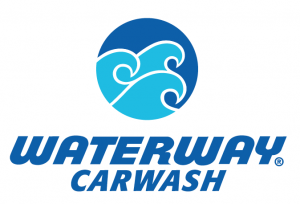 For more information on planning your own stop in Dayton, Ohio – click HERE.